On a short business trip to the pretty little Italian town of Lucca in early October, I managed to squeeze in a little photography around the edges of my speaking engagements. 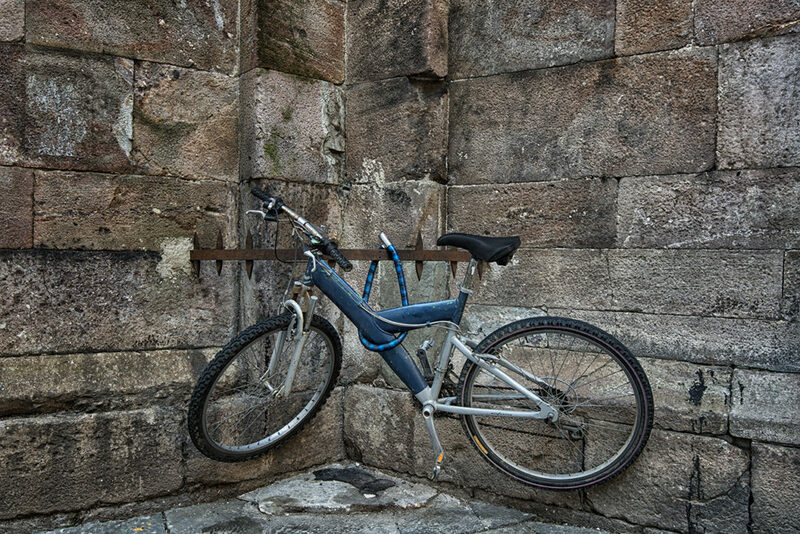 Access by cars within the city’s ancient walls, whose construction began in 200 A.D., is restricted, which makes the city very walkable and means that bicycles are the most popular form of transportation. Bikes are parked everywhere: in doorways, against traffic bollards, against shop windows, padlocked to benches and drainpipes. I even found one that was suspended above the ground (lead image). It was padlocked to what seemed to be an ancient, rusted iron railing that had been cemented into a church’s walls hundreds of years ago. Perhaps the old railing had been intended for tying up horses. Now, it secures modern-day steeds. While Lucca is a very beautiful old town with many interesting historical buildings, which I set out to photograph, it was the city’s many bicycles which kept catching my photographer’s attention. As I walked around the city, I found myself photographing bicycles more than any other subject. 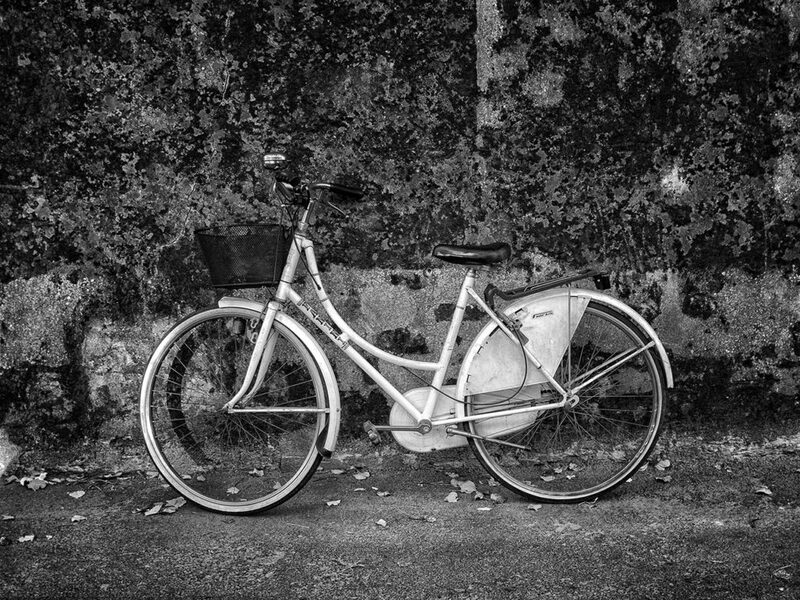 Looking at a parked bicycle, you can tell a lot about the person who owns it: whether they are male or female; whether they are young or old; whether they are short or tall; whether they are rich or poor; whether they are fastidious about their appearance or not (the absence of mudguards seems to mean the rider doesn’t mind their clothes getting splattered with water and mud); whether they are conservative or daring (I fancy that dark colours indicate a conservative owner, while garish pinks and purples suggest a racier type). 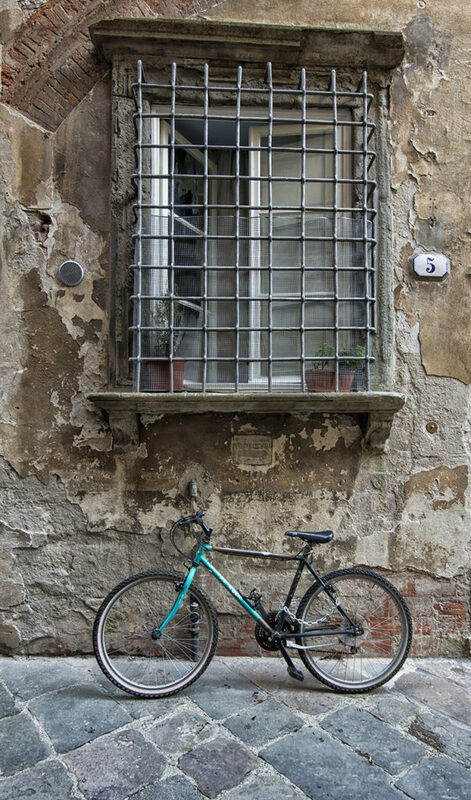 All in all, I felt that I learned as much about the people of Lucca from looking at and photographing their bicycles as I would have had it stopped and tried to talk to them through Italian-English language barrier. 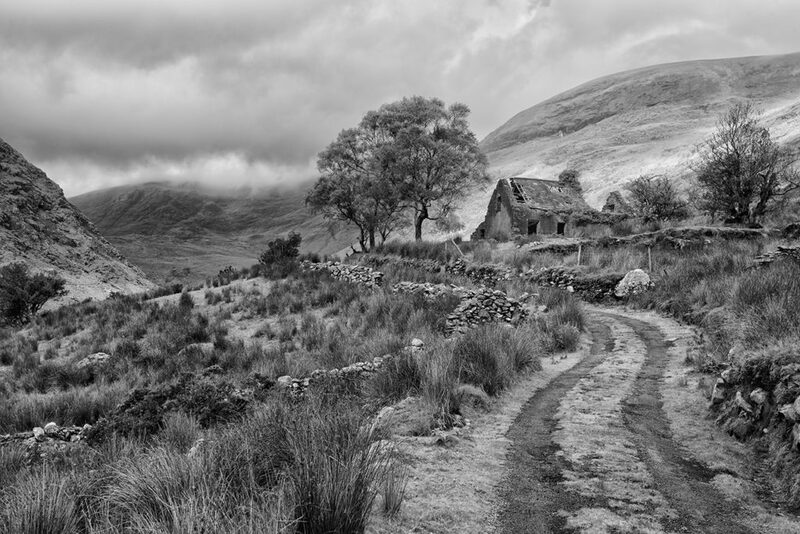 This abandoned house in the Black Valley in County Kerry speaks to me powerfully of the tragedy of Irish emigration. When I first arrived at this scene, I stood and stared at it, overpowered by a profound sense of loss. I thought about the family who built this house, the pride they must have felt in completing its construction on an imposing hilltop site, the happy years they enjoyed living in their home, the children they brought into and raised in this modest building, the encroaching forces of hunger and hardship that led to their realization that they must abandon the home of which they had once been so proud. I thought about the family who once walked down this lonely dirt road for the final time, about the last glance they must have cast over their shoulders as they walked away from their home for the last time. Everything about this lonely, desolate place seemed to encapsulate the pain of leaving one’s home.